Great house- poor customer service with pool issue! This is a really nice home and great location. Our group had a wonderful time with the exception of our dealing with Anna Maria Vacations staff members with a issue we had all week with the pool. The pool was functioning poorly for the entire week due to a VERY dirty pool filter. The filter was so dirty the water would not circulate through the pool correctly and thus the pool lacked a properly maintained appearance all week (i.e. sunscreen sheen on top layer, unfresh smell, etc). The waterfall casecade from the hot tub to pool did not function due to how dirty the filter was. So many calls to guest services and pool maintence. They were not able to replace filter until our last day. They did come check on the pool per our request, but did not have a filter in stock to fix the issue. Guest service employees appeared to read from a script instead of providing acutal good customer service. Tea, the guest servies manger had particular difficulty with this area. They offered no partial refund despite us spending all week calling and worring about the safety of the water. At one point, we had the kids in our group use sand toy buckets to refill the hot tub as the filter was too clogged to do so. On our last day, the pool filter arrived and what a difference- pool looked amazing and smelled clean within an hour and the waterfall from hot tub worked great. A good restaurant doesn’t charge patrons for food mistakes and this rental company should have refuned us a portion of our rental fees for this frustrating pool experience all week. Owners may want to consider a different management company for this beutiful property. Thank you for your feedback. Per our previous conversations, the pool filter replacement is part of regular pool maintenance and as we do not offer pool service, all of our pools have designated pool vendors who service the pools. We do not have pool equipment in stock. The pool vendor who services Hemingway House was over at the property numerous times, first diagnosing the issue and then to service the pool to ensure that it was still usable for the guest through their stay, until the filter was delivered and replaced. The guests were ensured by the owner of the pool company who was at the home as well by us that the pool was safe to use. The owner of the pool company also left his business card and told the guests to contact him if they had any questions. Please understand that we are not a restaurant but a property management company. This was not a case of us bringing you the wrong food to the table, this is a case of you renting a privately owned home that underwent regular pool maintenance during your stay. 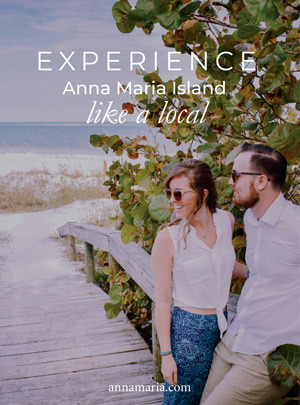 You have singed and agreed to the Terms and Conditions when you rented the property, acknowledging that Anna Maria Vacations does not refund in case of equipment failure. In this particular case, we can not refund monies for a service you had full use of throughout your stay. Please see pictures of the pool below taken on March 16th showing a clear and clean pool. ​This matter has been handled directly with the guest that made the reservation. As a courtesy, they have been compensated.